You've got a big event coming up next month. You've been asked to handle accommodations for the entire event. Where should you start? The reality is, event companies in the UK can provide support for any size event, and can save you from drowning in chaos. However, there are also a few simple things you can do to prepare the right accommodations for your next event. As a venue finding service, we can help you find the perfect place for your guests, but here are a few simple ideas to help you secure the right location. Define Your Budget Like with any project, defining your budget is the first step towards establishing a plan for accommodations. Depending on the event, you may require specific amenities and an appropriate location. Your budget will dictate the number of nights' attendees can stay in the hotel and when you can provide a deposit. Be sure to clear your financial side before booking any accommodations. Explore What Attendees Want If possible, it's a good idea to send a survey out to your attendees to see what they would like in accommodations. Use this survey to determine if you'll need a 4-star hotel with breakfast in bed, or if more basic accommodations will suffice. Getting feedback from attendees not only helps you plan accommodations accurately, it also sharpens your skills as an event planner. 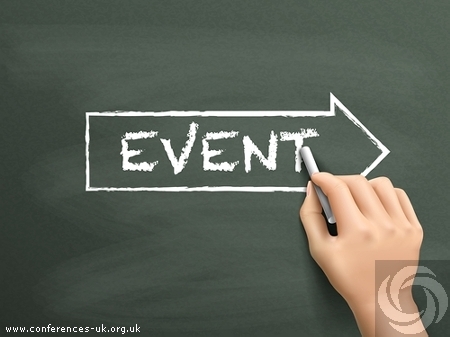 Event management in the UK is often limited to simply to finding a location near the conference or business meeting. However, your job is to go beyond that and isolate customized accommodations. Read Reviews! We can't state this enough, read the reviews of the hotel you're considering booking. Reviews are one of the best indicators of customer service and experience. If possible, verify the reviews on the hotel website with other accommodation applications to ensure they are indeed accurate. Research Amenities From room service to fitness centers, research what amenities are available at the accommodation you're considering. Each location is bound to have a unique set of amenities for guests to enjoy, but it's important you choose a location that best suites invitees. Inquire about in-house eats, dry cleaning, and valet parking so you can pass that information off to your guests after you book the location. As a venue finding service and event management provider in the UK, we specialise in helping people just like you secure the perfect accommodations. Contact us to learn more about how we can help you get the most from your budget.